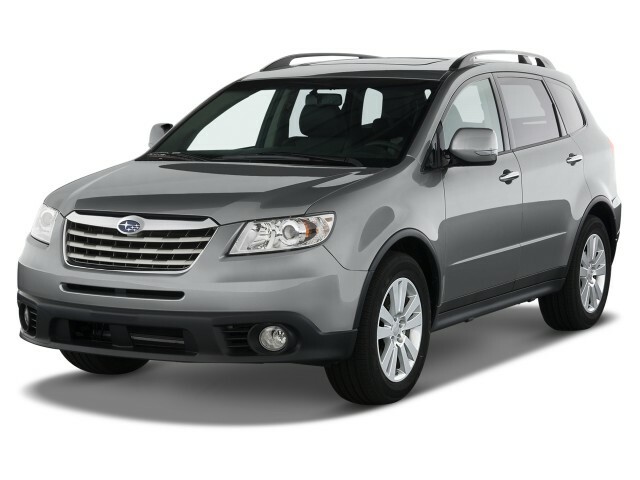 By the time it was dropped from the lineup for the 2014 model year, the Subaru Tribeca was both the oldest and least popular model in the Japanese vehicle brand's lineup. 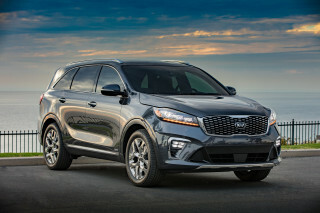 With third-row seating as an option to allow up to seven passengers, the Tribeca was originally positioned to take Subaru beyond its outdoorsy, muddy-trail roots and offer a more sophisticated and larger vehicle for affluent urban and suburban buyers who snapped up mid-size crossovers like the Ford Edge, Honda Pilot, Nissan Murano, and Toyota Highlander. For more details on the Tribeca's last model year, read our review of the 2014 Subaru Tribeca; to see how the Tribeca stacks up against its rivals, try our comparison tool. The lines of the first model--introduced in 2006 with both five- and seven-seat variants--were a considerable departure for the brand, with oval headlights flanking an oblong center grille, plus winglike side grille sections. What was then called the B9 Tribeca was named after the trendy New York City neighborhood of cast-iron lofts and upsale stores. Its design provoked a shocked response from the public, which led to a swift facelift, launched just two years later for 2008. The 2008 redesign took the Tribeca from distinctive to bland--to the point where it may have been the most generic-looking crossover on the market. It also brought a flat-six engine that was enlarged from 3.0 to 3.6 liters. The Tribeca changed very little after that 2008 redo, surviving seven more years at very low sales levels. 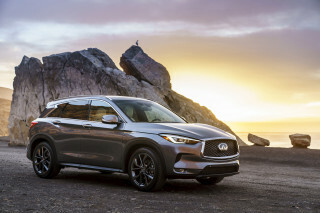 It likely competed with its Forester and Outback siblings on the showroom floor, especially after the 2010 Outback (with only five seats) expanded its wheelbase to be notably longer than the Tribeca's--meaning the lower-level vehicle was far more comfortable in back. The Tribeca's overall package changed little since its original introduction, but the powertrains were improved in the 2008 update. Originally it packed a 245-horsepower, 3.0-liter horizontally opposed six-cylinder engine, but that year it gained a 256-hp, 3.6-liter version that felt considerably stronger and more responsive from a standing start—and was about 10 percent more fuel-efficient. The 3.6-liter also used regular fuel while its predecessor required premium. All Tribecas came equipped with all-wheel drive, as well as a five-speed automatic transmission with manual mode. Inside, the Tribeca's dash features a very curvaceous instrument panel that wraps down between the driver and front passenger, setting a very different theme than you'll find in other Subaru vehicles. Tall people should beware that front-seat legroom is surprisingly limited. The second row of seating in the Tribeca is a bit flat but good for adults; however the third row is simply too tight for all but smaller occupants and rather difficult to get to (even considering that the second row slides fore and aft many inches). The cabin is considerably quieter and more refined than were the Outback and Legacy models before their comprehensive 2010 redesign. 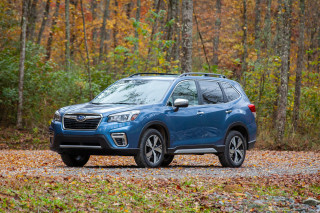 Though larger and with more of an SUV look than other Subarus, the Tribeca was tuned more for paved roads than dirt tracks where the Outback feels at home. The ride was firm but well controlled, and handling was carlike but from a loftier perch. Its flat-six engine performed well, although it wasn't ever quick among its peers, and fuel economy wasn't stellar either. Subaru had introduced a few changes to the suspension, and upgraded navigation and sound systems for 2007, but the changes were more extensive for 2008. Third-row access was improved slightly, as was rearward visibility—which is challenging on any of these models without the rear camera system. The instrument panel and trim, while attractive and even award-winning, isn't quite as delightful up close as it's full of hard plastic pieces. Safety was a Tribeca strength since day one. 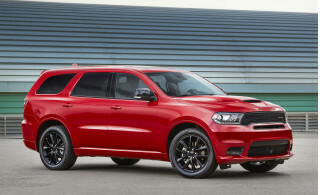 It was one of the safest vehicles in its class, with top marks from the IIHS. In terms of standard and optional equipment, the Tribeca was good but not class-leading. Power heated seats were standard on most models, but base Premium models opted out of many other desirable features. For 2013, Subaru pared the Tribeca down to a single mid-range Limited trim, which includes power heated front seats, fog lamps, leather, and roof rails, and three-row-only configuration. 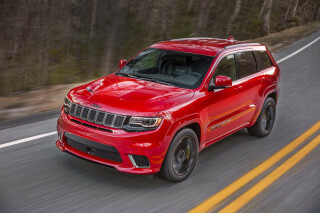 A new brake-override safety system was also added, and all Tribecas in the model's last years used the 3.6-liter, 256-horsepower six-cylinder boxer-layout engine.